Summer’s in full swing in our house, so my blog posts will be less frequent for a while. But I’m still working on my 50 Book Project and today I’m sharing book 20. It’s another Japanese stab binding and it’s called Tortoise Shell. 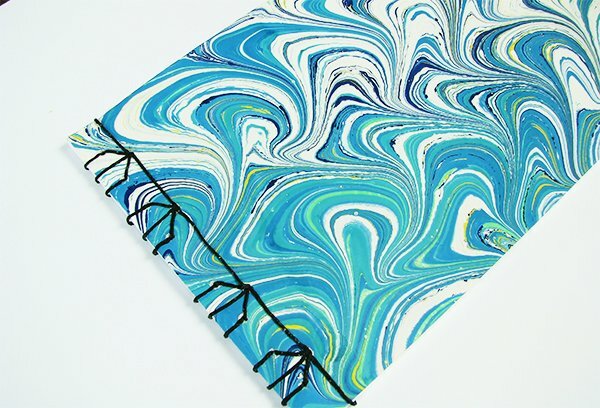 The soft cover is a piece of marbled paper that I made and the insides are copier paper. Because this type of binding doesn’t open flat, thinner paper works well for soft cover stab bound books. If the pages are thick, it’s harder to access them for writing or drawing. I used a Fiskars hand drill to create the holes and waxed, black linen thread to bind it. 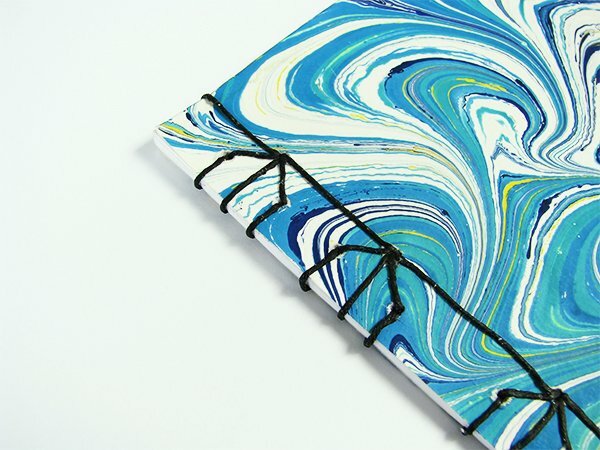 If you’re interested in learning how to create this binding, Rose Newton produced a good video several years ago. 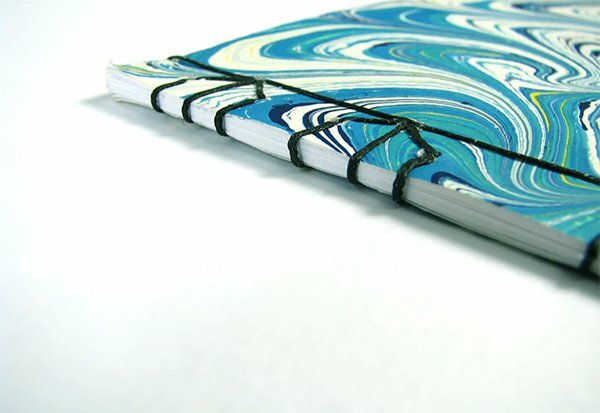 Also, Erin Zamrzla’s Handmade Books for Everyday Adventures is a good resource for Japanese stab bindings. You can read a review I wrote about it last year here. 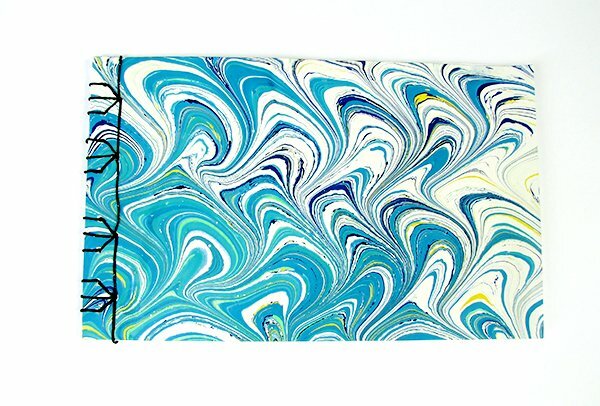 I’ll be creating another Japanese stab binding next week. If you don’t want to miss it, please consider signing up for my newsletter.